Happy New Year to all of you! Why is it the older we get, the faster time flies? I’m ready to start going backward and get younger! Although, I guess to do that would mean revisiting some things I’d just as soon not revisit. Last year was a rough year. My mother had been diagnosed with lung cancer in the summer of 2013 despite having given up cigarettes two years prior. She fought it with grace and dignity and passed quietly at home a year later, July 9, 2014. My dad had to put down one of his beloved dogs a couple of weeks before that, and we had to do the same with one of ours just before Thanksgiving. BUT … despite all that, God continues to bless us and I know 2015 will bring more blessings. I hope you and yours have an equally blessed year. 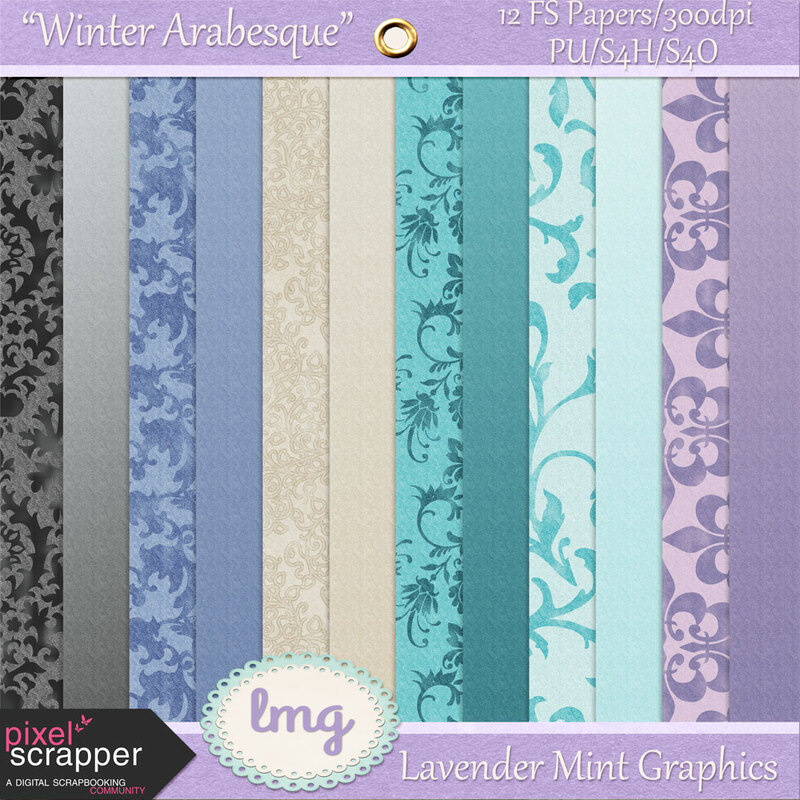 Below is the Pixel Scrapper Blog Train for January 2015! It’s always interesting to see everyone’s take on the theme chosen. Please visit the other designers to scoop up their kits as well. The link to the list is here. Enjoy! 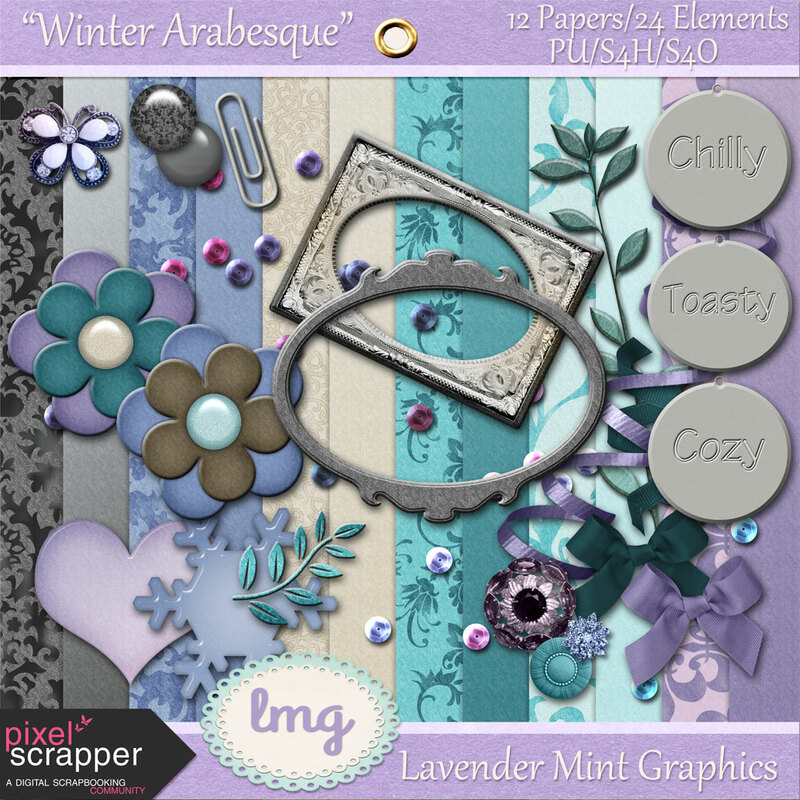 I have this split into two downloads as usual – one for the elements (even though the entire kit is shown), and one for the papers. **UPDATE – 5/01/15** – Did some gamut corrections if you’d like to re-download! Such beautiful ornate papers. Thanks and have a Happy 2015! Thank you for your portion of this amazing blog train ! You’re so welcome, thanks for visiting! Gorgeous colors!!! Beautiful frames and flowers!! Beautiful papers!! Thank you so much for sharing!!! Lovely color palette — thank you for sharing! Pamela, thank you so much for that. I’ve had quite a few dreams with Mom in them and i like to think that she is visiting. Thank you again, that means so much to me. I love creating the designs and hope to keep improving. All the sweet comments keep me going. Hugs! Thank you for sharing. I really like your papers they are very pretty. I especially love the pattern papers. Thank you for another lovely kit! I really do love your designs. I do pray that 2015 will bring you joy, and that the feeling of loss will diminish, while love memories will grow brighter. I found it unbelievably difficult to love my mother when I was only 35; but God has provided many mentors who have given into my life; I pray He will provide for you in that way, as well. Thank you so much, Anita. Fortunately I was close with my mom and have many fond memories. God has been with us in so many unbelievable ways. I don’t know how we’d gotten through the last couple of years otherwise. Thank you for your prayers. God is good! Oh, and I’m so glad you like my designs! I’m still learning and appreciate your sweet comments!